Posted by Richard Foote in Oracle Indexes, skip_unusable_indexes. This come up recently with a customer and I saw a related question on OTN that made me realize I haven’t previously discussed the SKIP_UNUSABLE_INDEXES parameter. Let me start by making a very simple point. All it potentially takes to make your entire database effectively inoperable or indeed to maybe bring down a RAC instance is for one teeny weeny index to become unusable. That’s it. If the unusable/missing index is used often enough on a table that is big enough, the resultant explosion of load on the database generate by 10,000s of (say) massive Full Table Scans can be catastrophic on all users of the database (or indeed on all users of the disk subsystem or database servers as in the case of my customer). Sometimes the lesser evil would be to simply ensure the statement(s) that were reliant on the now unusable index are prevented from executing and causing general havoc, so that all other database activities can continue unabated. Hence why we have the SKIP_UNUSABLE_INDEXES parameter. When set to TRUE (the default), the CBO simply ignores the fact there’s an index in an unusable state it would have used and chooses the next best available plan (which might be plan horrendous, such as a FTS on a massive table). If however SKIP_UNUSABLE_INDEXES is set to FALSE, then an error is generated if an index the CBO would have used is in an unusable state. Yes, such statements don’t now run causing possible frustration for some end users, but at least the “damage” is minimized to just those users, with the rest of the database community blissfully unaware and non-impacted by the unusable index. To illustrate, a simple little example. Let’s just create a table and populate it with 1M rows. Note that the CODE column has 100,000 distinct values, so 10 rows returned for each value. The index is used as expected and at just 14 consistent gets, it burns little CPU and performs no physical IOs. We can see the query is now using the next best execution plan involving a FTS on our “large” table, which is performing many more consistent gets and physical IOs. If this query (or others also dependent on the now unusable index) were executed frequently enough and if the table was big enough, the resultant increase in both CPU and IO could be crippling to the entire database environment(s). Rather than continually running this now extremely costly query, perhaps the better alternative is to prevent this query from running at all. We get our beloved (in this scenario) ORA-01502 error. We now prevent 10,000s of expensive FTS and the general database remains unaffected. So you have the choice in what to do here. In the event of an unusable index, is there a sufficiently “good enough” alternate option that makes executing statements impacted by the unusable index viable or is the resultant impact on the database just too much and preventing such statements from executing at all the better option. It’s potentially a quick fix for a dire database emergency. 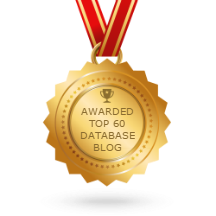 In my previous post on differences between Exadata Storage Indexes and Database Indexes Part II, I discussed how the clustering of data within the data is an important factor (pun fully intended !!) in the performance and efficiency of both types of indexes. In this post, I’ll expand a little more on this point and highlight scenarios where a normal database index can significantly improve performance but be totally ineffective as a Storage Index. Storage Indexes can only determine where required data can’t exist within a (1M default) storage region via the associated Min/Max values of the index. If a required value can’t possibly exist within the Min/Max range boundary, the specific storage region can be ignored and not be accessed during the full scan operation. However, in some scenarios, there can be limitations in the usefulness of only having Min/Max values to work with if both Min and Max values are relatively common and randomly distributed throughout the table. This is not an uncommon scenario when dealing with columns that have data such as code status values. So I have relatively few FORMAT_ID = 3 (1000 in 10M rows, 0.01% of data) littered throughout the table and a few FORMAT_ID = 5 located in a specific portion/location of the table. We notice the CBO has used the index to efficiently retrieve just the 0.01% of required rows because of the high selectivity of the query, even though the overall Clustering Factor of the index is appalling. At just 154 consistent gets in this example, the results return almost instantaneously. The database index is extremely effective in these examples because it can point just to the locations within the table where these relatively few rows of interest are located. We notice no matter how often we try, that Storage Indexes have managed to save us precisely nothing. The entire table has had to be scanned and read during the Full Table Scan operation. Same results when accessing the FORMAT_ID = 5. Any possible Storage Indexes have been totally ineffective and the Full Table Scan has had to read the entire table. The result being performance is significantly slower than with the database indexes visible and in place. The data consists primarily of randomly distributed values 2,4,6,8 and 10, with the odd value 3 and 5 littered around. This means that if created, the Storage Index Min/Max values will effectively be 2 and 10 for all 1M storage regions throughout the entire table. Therefore, both values 3 and 5 could possibly exist within all/any of the table storage regions as they sit inside the 2 – 10 Min/Max range boundaries. These 3 and 5 values are effectively “hidden” within the Storage Index Min/Max values making Storage Indexes totally ineffective in this scenario, as they can’t skip a thing. A final point here. If one of these rarer values of interest were to be say value “12”, then a Storage Index could be useful when searching for this particular value as any Min/Max ranges of 2-10 that don’t therefore contain a value of 12 can be skipped. However, if values 3 and 5 were also of interest, the Storage Index would still only be useful in a subset of required cases. A database index would therefore still be required to cater all necessarily cases. As Database indexes can directly point to indexed values of interest, this is another example of where we would likely not want to just drop a database index in Exadata. Posted by Richard Foote in Backup and Recovery, Oracle General, Oracle Indexes, Oracle Myths, Oracle Opinion, Tablespace Management. I’ve already discussed here some reasons why performance is not particularly improved by simply separating indexes from tables and storing them in a different tablespace. It sounds like it might be helpful from a performance perspective but when one digs down a little, it turns out any so-called performance benefits are questionable to say the least. However, performance is only one reason why it’s claimed storing indexes in their own tablespace is beneficial. There are wondrous advantages to database availability and database recovery options if only indexes are stored in their own tablespaces. The loss of all indexes due to a catastrophic disaster in the index tablespace means that the database tables themselves are all still potentially available. This sounds as if there might be a number of advantages with this strategy, right ? Today, I’m just going to briefly mentioned some thoughts on the first point, the second point I’ll discuss another day. I guess the key question here (pun fully intended) is just how important and vital are indexes to the “normal” operation of a database? Is a database effectively operational if we were to lose all our indexes, is an application still effective and operational if we were to lose all indexes belonging to the application? If by storing indexes in their own tablespace, do we get availability benefits if we were to lose only the index related tablespace? All good questions to ask and ponder about every now and then. Let’s be clear I’m not discussing the loss or corruption of a single (or handful) of indexes. If a specific index gets corrupted for whatever reason, yes we could recover the index by (say) making the index unusable and rebuilding the index. However, we can do this whether the specific problematic index in question was stored with or separate from the parent table so the scenario doesn’t really differ much. The suggestion is that things will just be a lot slower. We’ll have lots of Full Table Scans where previously we had nice efficient index related scans, but at least data can be viewed and manipulated as the actual tables themselves will still be available. Yes things will be slower and less than ideal but better than if we had stored tables and indexes together because in this scenario we would have lost both indexes and tables making the database effectively useless until recovered. Oh yeah, that’s right. We have an index that also needs to be inserted as well. Not just any index mind you, but an index that is used to police the uniqueness of the associated PK constraint. Yes, if the problem was at the hardware level, the error message will differ but the ramifications will be the same. We will not be able to insert into the table unless the index is dropped and we can’t drop the index unless the PK constraint is dropped as well. If this table contained 100M rows, it might of course take a long long long time and if we had too many users performing too many Full Table Scans, the entire database might of course scream to a thudding halt, but yes at least we’ve now got our queries working to the point of ignoring unusable indexes. What about our DML operations now the index is unusable, do these at least function to some degree ? And that’s also a no for our child, FK table example. Oracle still needs to use the problematic PK related index to police the value in our FK column. So what kind of database environment are we left with when the indexes from our index only tablespace becomes problematic, even with all our tables totally intact. Losing an index only tablespace would be a catastrophic event, one that would ruin the day of not only the poor DBA having to recover from such a scenario but also any poor user needing to access an impacted application. One might even argue things could be better if a tablespace containing both tables and indexes was lost if it resulted in another tablespace containing other tables and indexes still being available as at least some table/indexes would be accessible and usable in a viable manner. Regardless, in either scenario, the database/tablespace/datafile would need to be recovered ASAP to stop user complaints flooding the help desk. Of course having indexes in their own tablespace will help us recover from such a catastrophic scenario in a more simplistic, efficient and ultimately faster manner, right ? Posted by Richard Foote in . I resigned from Oracle in September 2017 and started my own independent company Richard Foote Consulting. As such I will again for running my “Oracle Indexing Internals and Best Practices” seminar. Please contact me at richard@richardfooteconsulting.com for further information or upcoming seminars or visit my Seminar Dates page. I run a very in-depth 2 day Oracle Indexing Internals and Best Practices Seminar. There is also a condensed 1 day version of the Oracle Index Internals and Best Practices Seminar upon request. This seminar examines most available Oracle index structures/options and discusses in considerable detail how indexes function, how/when they should be used and how they should be maintained. A key component of the seminar is how indexes are costed and evaluated by the Cost Based Optimizer (CBO) and how appropriate data management practices are vital for an effective indexing strategy. It also covers many useful tips and strategies to maximise the benefits of indexes on application/database performance and scalability, as well as maximising Oracle database investments. Much of the material is exclusive to this seminar and is not generally available in Oracle documentation or in Oracle University courses. This is a must attend seminar that would be of much benefit to not only DBAs, but also to Developers, Solution Architects and anyone else interested in designing, developing or maintaining high performance Oracle-based applications. The seminar is developed and personally delivered by Richard “Mr Index” Foote, a well-respected expert in Oracle Database technologies. All seminars are small class environments, with plenty of opportunity for attendees to ask questions specific to their particular environment. For list of all upcoming seminars, see the Seminar Dates page. Posted by Richard Foote in CBO, Index Full Scan (Min/Max), MAX, MIN, Oracle Indexes. As most people have correctly identified, the answer I was after to my previous Min/Max Quiz is that Option 1 is indeed the odd one out, as it’s the only option that can’t make use of the Index Full Scan (Min/Max) access path. If you’re after either the minimum or the maximum of a column value and the column is indexed, the CBO can potentially use the Index Full Scan (Min/Max), which simply navigates to the first OR last leaf block in the index structure looking for the Min or Max value in question. Oracle can of course navigate to the first (left-most) or last (right-most) leaf blocks very easily by simply following the associated first/last pointers in the Root/Branch structure of the index. All things being equal and providing there haven’t been any subsequent deletes to empty out the index entries from these leaf blocks, Oracle can very quickly determine the minimum or maximum value of the column. However, the Index Full Scan (Min/Max) can only visit one side of the index, not both. Therefore, if you want both the minimum and the maximum column value, an Index Full Scan (Min/Max) is not viable and the CBO is forced to look for other alternatives. It sounds like such a trivial thing to implement but that’s how it goes. I do remember way back when Oracle9i was released and the introduction of the Index Skip Scan I thought perhaps Oracle might also soon introduce an index skip scan version of Min/Max (as it basically just needs to “skip” all the index leaf blocks in the “middle” of the index via another lookup of the index), but it was not to be. Then an Index Fast Full Scan becomes viable. All the other options I’ve used to return the Min/Max of the column all incorporate two separate SELECT clauses and so all can potentially use an Index Full Scan (Min/Max) access path for each distinct clause. Although as pointed out in the comments, this does return 2 rows. They’re all subtly different but they all can make use of the Index Full Scan (Min/Max) scan for each separate SELECT clause and they all can perform the necessary resultant work with just 6 consistent gets in my example. The first thing to note about day 3 is that it’s wet. I mean really really wet and really windy as well. Considering my home town of Canberra has been in drought now for many years with water restrictions in place, I haven’t seen this much rain for a very long time. That said, I believe it’s been raining quite a bit in Canberra since I’ve been traveling so perhaps things are beginning to change for the better at last. Started the day by attending Dan Morgan’s Unconference session on 11g Rel 2 new features that don’t feature in the marketing material. Some good stuff is in there, with basic little things such as being able to now easily alter database links for example having the potential to make life a little easier. The heavy rain meant I didn’t have the patience or a strong enough umbrella to wander too far from the main Moscone complex, but I managed to catch a nice presentation by Karen Morton on how to effectively collect database statistics. She presented really well and I really it although perhaps didn’t highlight enough the perils of some of the auto statistics options, especially with regard to method_opt. I next had a look around at the other exhibition hall, practicing my golfing skills and picking up yet more t-shirts and yoyos that light up in funny ways. I’m a bit concerned that my luggage just won’t be able to hold all this stuff I’ve picked up !! I have an interest in the Total Recall capabilities of 11g (and it’s lack of capabilities) and so attended a presentation on the improvements of Total Recall and flashback archive in 11g Rel 2. It looks like most of my issues with subsequent DDL changes on flashback archive enabled tables now being supported one way or the other. However, I still have concerns with the potential “corruptability” of the archived historical data and the subsequent recoverability implications. It would also be a nice improvement if “who” made a particular change was more readily available without having to purchase yet more expensive database options or have to modify the table structure. As usual, Tom covered this topics with nice examples, in a very clear and concise manner. On the way back to the hotel, I popped into the Blogger get-together function and had a few drinks and had the opportunity to meet and chat with a number of fellow Oracle bloggers. Thanks to the Alex Gorbachev and Justin and the OTN team for putting the event together. Connect 2018: Oracle 12.2 and 18c Indexing Related New Features Presentation. Do ROWID Index Row Entry Columns Impact Index Block Splits: Does the ROWID that constitutes an additional column in a Non-Unique index determine whether a particular row entry is the maximum or equivalent entry or not. Because by implication, this can determine and influence whether Oracle performs the generally preferred 90-10 splits rather than 50-50 block splits for indexed column values that at least equal the maximum value. Oracle Indexing New Features In 11g R1 and R2 Presentation: My Oracle OpenWorld 2010 presentation on various new indexing related features introduced in Oracle11g. Clustering Factor In Concatenated Index Leading Column Decision: Shows how the Clustering Factor and ordering of the specific columns in a concatenated index impacts on the Clustering Factor of the resultant concatenated index. Index Create and Index Rebuild 11g Locking Improvements: Shows how 11g has improved the associated locking implication of creating or rebuilding an index online. Reverse Key Indexes Part III: Shows how block splitting and the reuse of deleted space differs between a Reverse and a Non-Reverse Key Index and how it impacts overall index space utilisation. Reverse Key Indexes: Part II: Shows how Reverse Key Indexes can’t be used to get around the problem of having LIKE wildcards in the front of a search criteria but you could use the unsupported Reverse Function-Based Index with single-byte character sets. Reverse Key Indexes: Part I: Shows how Reverse Key Indexes can’t be used with Range Predicates, but can perform Index Range Scans in some scenarios. Dangers of METHOD_OPT SIZE AUTO: Shows how the AUTO option with METHOD_OPT, changed to be the default in 10g, can be very problematic as it generates many unnecessary histograms while missing out on generating those that may be required. Linguistic Indexes Sizes: Shows how Linguistic Indexes can take up considerably more storage than normal binary indexes. Mixing Linguistic Indexes with Non-Linguistic Indexes: Dangers of trying to mix/use Linguistic and Non-Linguistic indexes at the same time. Local Index Issue With Partitioned Primary Key Index: Why Local Indexes must include the partitioning column if used to police Primary Key or Unique Key constraints. 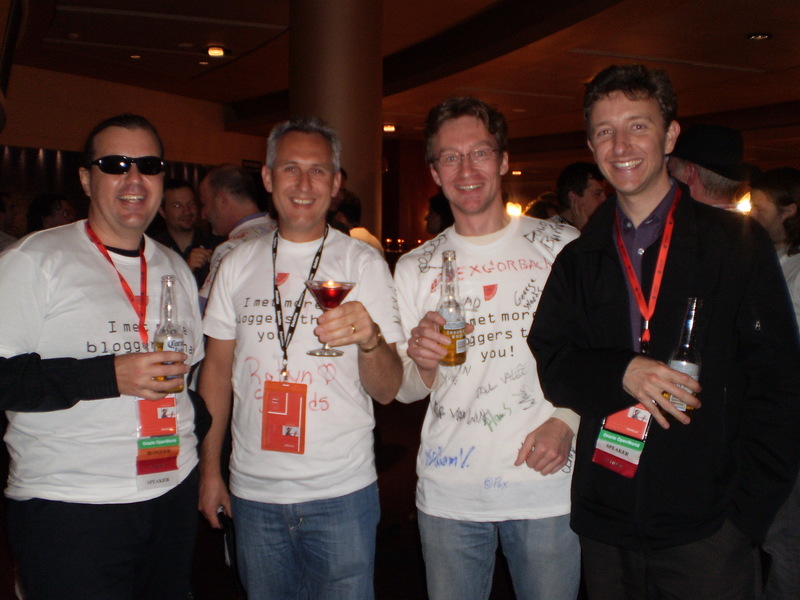 Oracle Index Internals – Rebuilding The Truth : An article originally presented for the ACT Oracle User Group way back in 2002 and which I still get asked about to this day. Somewhat revised edition.